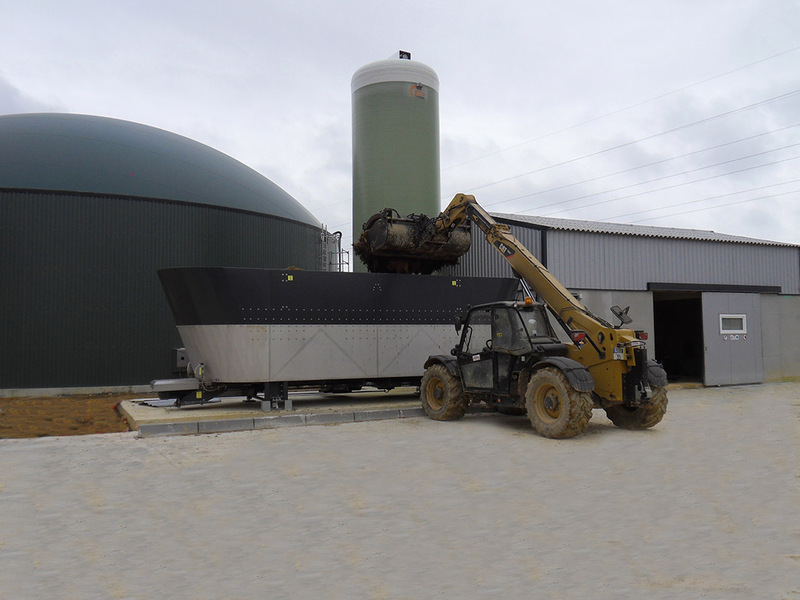 In Iffendic, Brittany, German biogas plant manufacturer WELTEC BIOPOWER is currently working on an extension AD project with its French partner WELTEC Agripower. The biogas plant in Iffendic had already been built back in 2014, and now its capacity is being doubled. The biogas plant now generates 500kW a day, enough to supply almost 1,000 households. Apart from the needs-oriented planning and the high quality of the AD plant, the smooth rollout of the initial construction project was a key reason why the operator Samuel Morand decided to entrust WELTEC with this follow-up project. Again, everything went smoothly: "After the quick approval process, the groundworks were finished within a short time, and WELTEC commenced with its work, which also progressed speedily," said the owner of the young bull and pig fattening facilities, commenting on the rapid project rollout. "Our great experience and the close coordination of all processes with our project partner WELTEC Agripower played a key role in this achievement," said Alain Priser, who oversees the business in France at WELTEC. Thus, the expanded plant went online after a building time of only a few months. Morand already had the idea of extending the plant when the original biogas plant was being built. However, as he only had a limited amount of cattle manure, pig manure, whole crop silage, cereal debris and apple pulp at his disposal, he initially decided to implement just one 2,625m3 stainless-steel digester and a 250kW CHP. Nevertheless, WELTEC proactively designed the other plant components, such as the dosing feeder and the pumps, for the double plant size. The robust input system MULTIMix was also implemented in such a way that it can now easily supply a second digester. The MULTIMix ensures efficient shredding of long-fibre and sticky substrates such as cattle manure and whole crop silage, thereby enabling use of the full energy potential. Over the past years, the operator has successfully enlarged his agricultural business and now has a greater amount of cattle and pig manure at his disposal. Moreover, an apple juice manufacturer is now able to supply Morand with more waste from his production. This increase in the available substrate forms the basis for the plant extension by an additional 2,625m3 digester and an additional 250kW CHP. Another benefit for French farmers: In December 2016, the feed-in tariff for power from agricultural biogas plants was raised, especially for the input of liquid manure. Moreover, the maximum compensation period has been increased five years to a total of 20 years. Both the term and the amount of the tariff ensure more planning and investment security in the industry. Another positive aspect for Morand‘s operations is that he can use the exhaust heat from the CHP unit for his pigsties and digestate drying. In this way, this measure means a win-win situation: France is approaching the goal of stocking up the proportion of renewable energies to 30% by 2030. The figure currently amounts to 19%, and especially the contribution of biogas to energy production can be further expanded. The new compensation strengthens the role of biogas, allowing this energy source to demonstrate its strength within the scope of the French energy reform: The advantage of biogas over other renewable resources is the ability to control the timing and amount of energy generation and the storability. This makes biogas a valuable component of the energy mix, which not only improves the carbon balance, but can also contribute significantly to grid stability, security of supply and a recycling economy.